I tell you, Orphans of the Storm® has some of the cutest dogs around! Benny the seven-year-old Terrier mix is a little guy with one of the most adorable little tails that is almost always sticking straight up into the air. And it’s even more adorable when it wags, which happens pretty often. 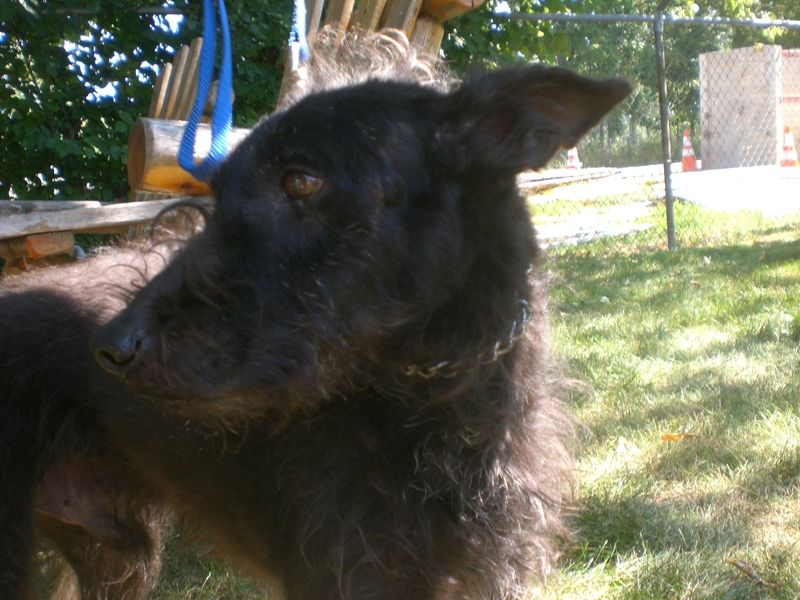 Bennie’s gray face shows that he’s an older dog, but he’s definitely still eager to romp around and go for walks. He’s a Terrier, after all! Benny currently has a kennelmate (who was being looked at by potential adopters while I was there, so I didn’t get a chance to meet him), so he could go to a home with or without another dog. 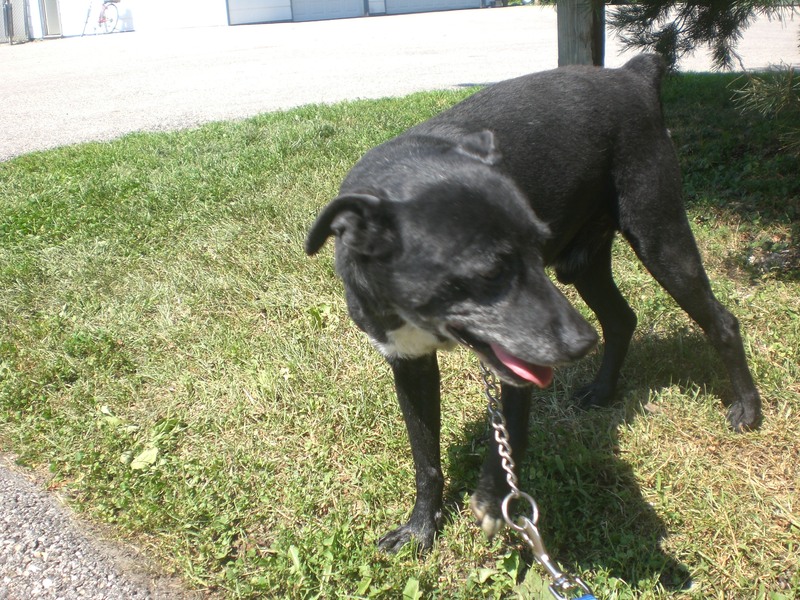 Benny is a very calm dog who walked well on the leash and was happy to stand by my side while I scratched his back. Those big brown eyes of his show so much love! Is Benny the pooch for you? Gordon the eight-year-old Terrier mix is a pooch I’ve been meaning to take out for a few weeks now, because he is just so cute. I actually thought he was a puppy when I originally met him, but then learned that he’s well into middle age and unfortunately lost the home he had grown up in. He seems to be a little nervous and shy at the shelter, understandably, so he just needs the right person to come and welcome him to a new home. Gordon is just too cute! Gordon is, I think, the only dog I’ve ever seen with a mohawk. I tried to capture it in my pictures, but they don’t do it justice. It is the funniest little tuft of fur on the top of his head. His fur is also a really interesting texture–when I was petting him, it almost felt more like wool from a sheep instead of fur from a dog! Since Gordon came from a home, he does a great job on the leash and probably knows at least a couple commands. If you’re looking for a real cutie, look no further than Gordon! 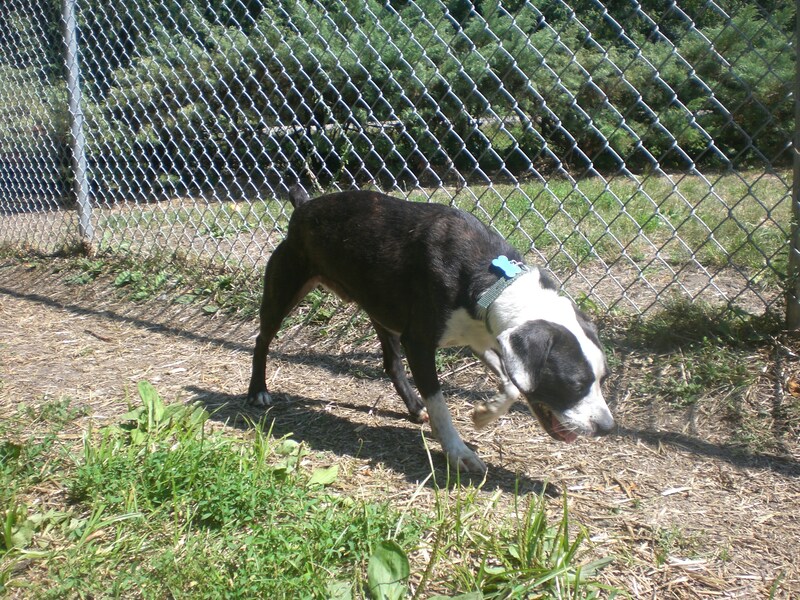 Cody the six-year-old Boston Terrier mix is another dog whose family could no longer take care of him. Cody is the type of dog who will press himself up against the kennel door so you can pet him, and as soon as he did that I knew I wanted to take him out and get to know him better. He is just so sweet, and that face of his is too cute to ignore. Cody shares his kennel with his brother Ronald (see below), and though they don’t need to go to the same home, it’s good to know that they each can get along well with other dogs. When I brought Cody into the off-leash run, he scampered around and enjoyed sniffing all the new smells. 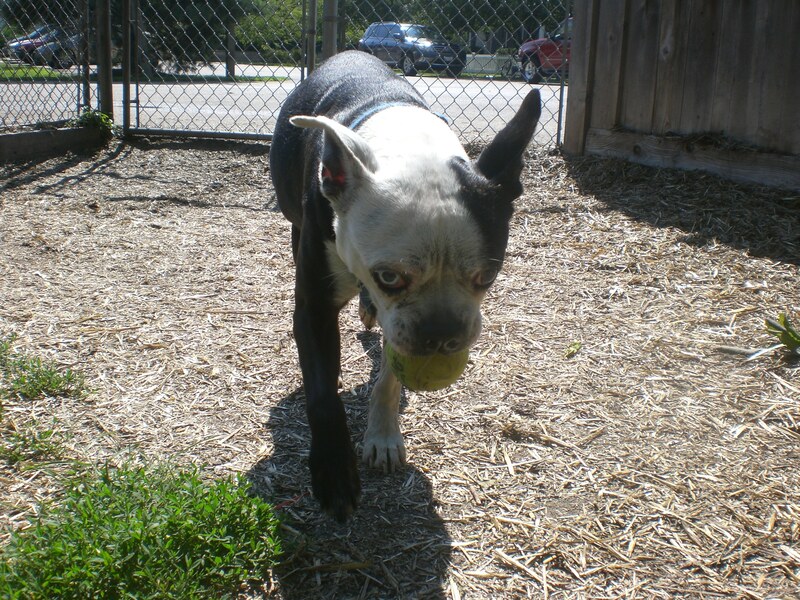 He also liked carrying around a tennis ball, though fetch isn’t really his thing. Cody is more of a snuggler, so if you’re looking for someone to snuggle with, come in soon to meet Cody! 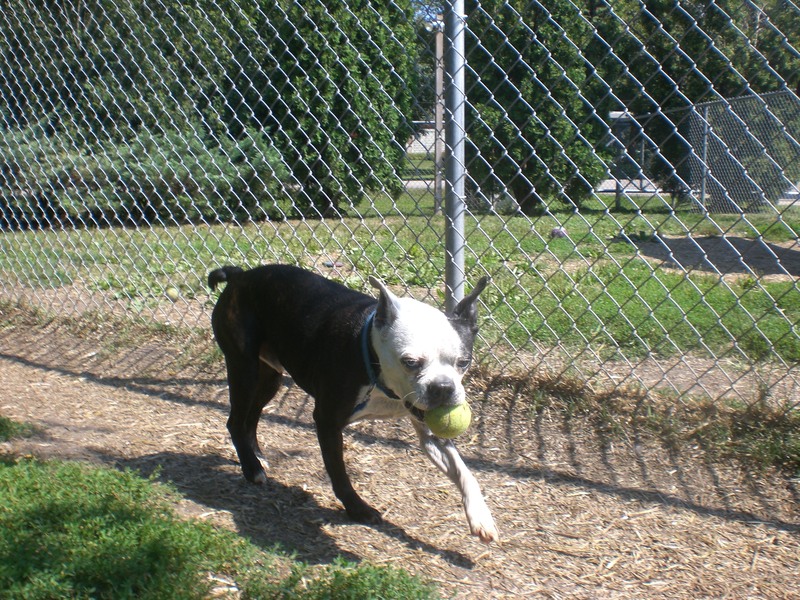 Ronald the ten-year-old Boston Terrier mix is definitely the more rambunctious of the two, even though he’s the older one. While Cody was greeting me at the kennel door, Ronald was in the outdoor portion of their kennel keeping an eye on all of the other dogs. He was also the one who led the way to the run once we were outside. Ronald absolutely loves to play fetch. He found a tennis ball and brought it right to my feet, dropping it on the ground and waiting expectantly for me to throw it. He would chase it down and bring it right back. If I ever took too long to throw it, Ronald would remind me with a short bark. This little guy just loves to play and can’t wait to find a new playmate! Could it be you? 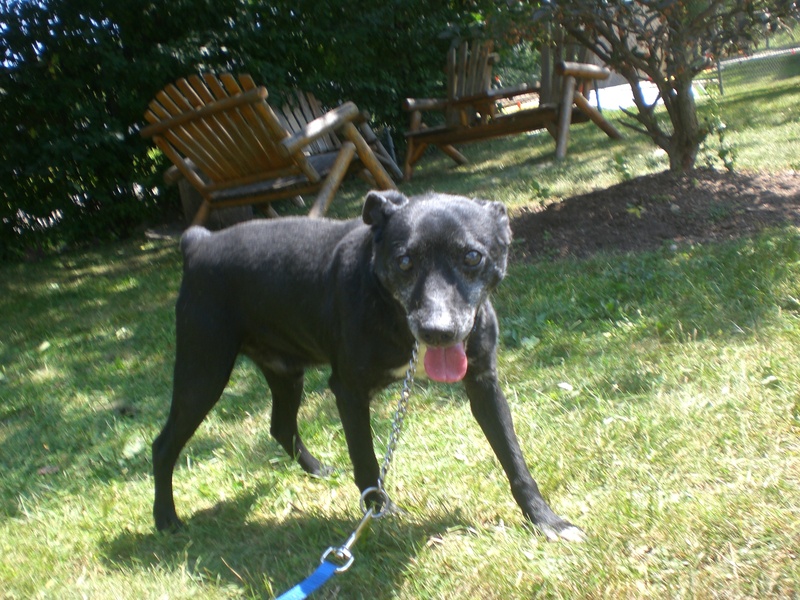 I also walked Midnight and his kennelmate, who I was going to write about but has since been adopted. That means I can write more about Midnight, though! Midnight is just the epitome of a Labrador Retriever. 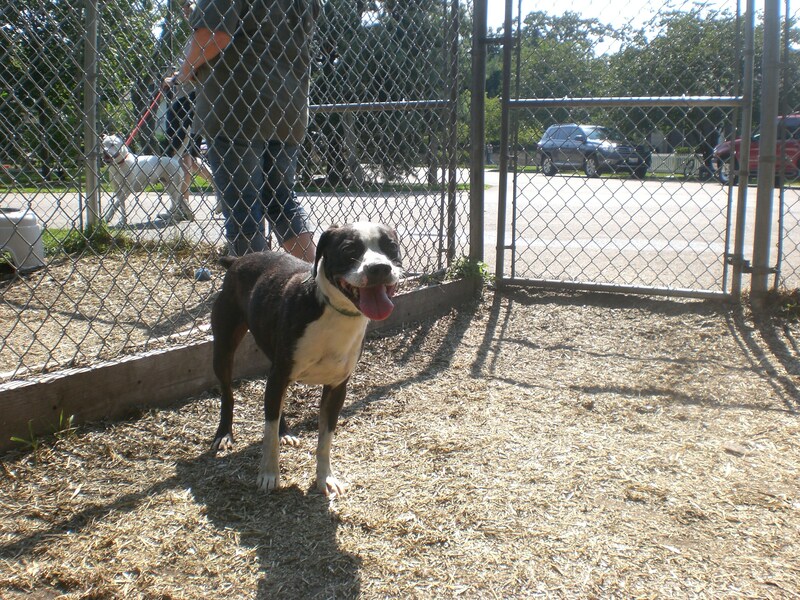 So friendly with other dogs and people, and incredibly affectionate. Midnight kept trying to climb into my lap and would cover my face with doggy kisses whenever he got the opportunity. He even rolled over for a quick belly rub. So what if he’s a bit on the older side? He still has so much love left to share! And, of course, I spent some time with some of my best buddies: Wilbur and Roscoe, and Molly and Reebok. I also said a quick hello to Goose! Whatever kind of pooch you’re looking for, you can be sure Orphans of the Storm® has it! Posted by Meet the Pooches on August 22, 2013 in Dog Profiles and tagged adopt, adoption, animal shelter, animals, Boston Terrier, Chicago, dogs, Labrador Retriever, Orphans of the Storm, pets, Terrier. Gordon has the same Mohawk as my dog! Similar eyes too.